Creating home decor, art and even furniture with wooden pallets is all the rage. 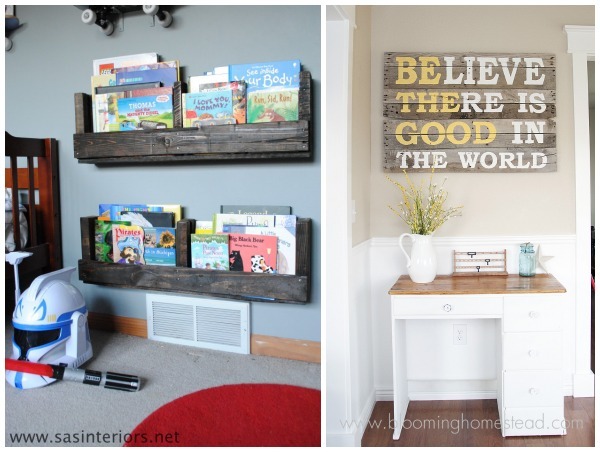 Here are a few of our favorite pallet projects from around the web. Before you get started on your list of projects, first make sure your pallet is safe for use. Many pallets in the U.S. are treated with the pesticide methyl bromide and are not safe for use in the home. Most should be marked to show their status. Look for a pallet that is marked "HT" for "heat treated," meaning the pallet has not been treated with chemicals. 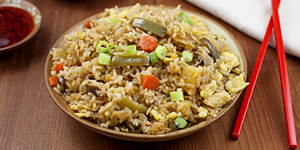 Now you can get started! Rustic style furniture can cost a fortune from high-end retailers, but Jenna from Wilsons & Pugs created her own rustic coffee table using two pallets. With a dark stain, casters for mobility and a little elbow grease, her home now has a stunning, one-of-a-kind piece. 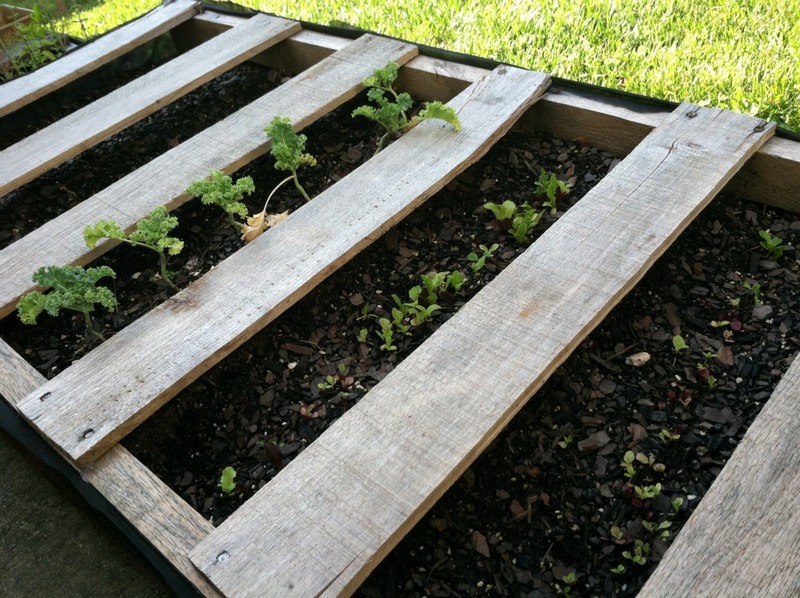 Living in a small space limited Happily Ever Crafter blogger Catherine's options for gardening, so she took some inspiration from Pinterest and built a pallet vegetable garden — for under $20! She scored the pallets for free from her neighborhood big box home improvement store and found the rest of the supplies at a discount store. Now she has a sustainable garden perfect for her townhome. ^ For a different take on the pallet garden, visit Tiernan McKay's article: a Pallet garden for small spaces. 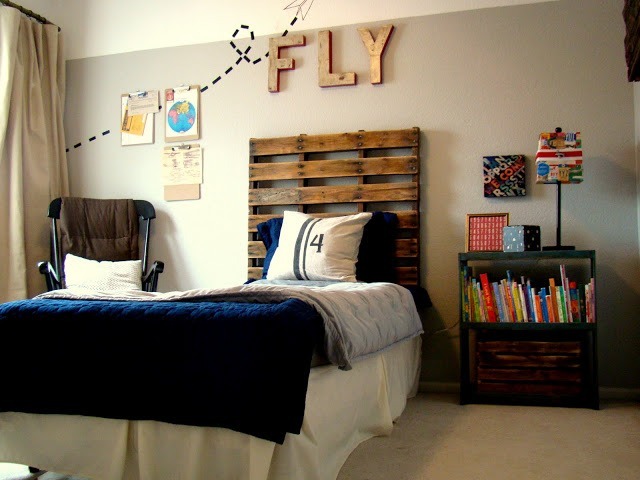 When Kim from Too Much Time on My Hands was looking for the perfect rustic headboard for her son's airplane-themed bedroom, she settled on a wooden pallet that she scored free from Craigslist. With a little sanding, some polyurethane and a secure hanging, her son's new headboard couldn't fit in better with his unique room. Make sure to check out the full reveal of the adorable room. Pallets can easily be constructed into shelves to display wine bottles, dishes and photos. Jenna, interior designer and blogger at SASinteriors.net, made the perfect display shelves for her son's room. The books are easy to see and select, and she hung them at the perfect height for little ones. Purchasing art gets expensive, but with a pallet and a little paint, you can make your own, like this pretty and positive pallet sign from Marie of the Blooming Homestead. Using card stock stencils and vibrant yellow and white paint, she now has a meaningful piece of art hanging in her home. Hannah from Young and Crafty also created a shabby chic piece of art using pallets. 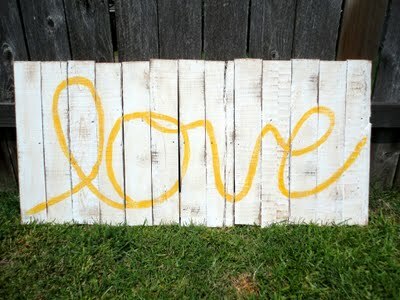 Inspired by a painted pallet headboard, she came up with this “love” sign that would make a statement in any home. Share with us!^ Have you ever used a pallet to make something for your home? Leave us a comment below and tell us about it!